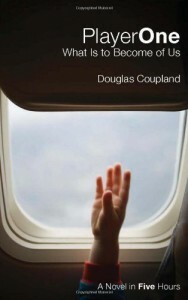 This was an odd book and not one I expected of Coupland. His techy writing style is somewhat there but he delves into philosophy using geeky characters and references to help his reader relate. I was impressed by some of it, mostly in the beginning, but the story as a whole fell flat for me. I related well with the characters and the philosophies they shared but I felt the backbone story could have been more intriguing and stronger.